Are you looking for a delicious pork recipe with a difference? If you are, you’ve found it! Here’s my linguine with cherry tomatoes, pancetta and white wine for you to enjoy. With no doubt, I have to dedicate this recipe to my friend and manager Jeremy Hicks. We have known each other for seven years now and without fail he has to have this pasta dish at least once a week. I actually agree with him, it’s one of my favourites too, because I just love the combination of the onion, pancetta and chilli. 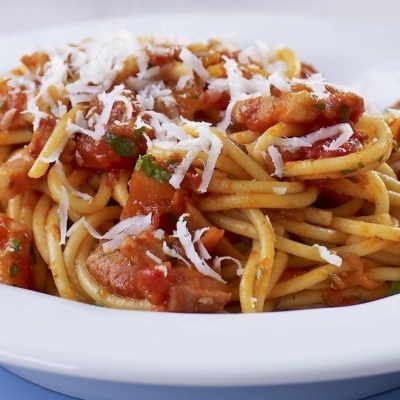 If you prefer, you can substitute linguine with spaghetti or tagliatelle. Feast your eyes on the finest linguine with cherry tomatoes, pancetta and white wine! It’s straightforward and fun to make this great dish. Simply follow the instructions below and get the perfect result. In a large frying pan, over a medium heat fry the onions in the oil for approx. 3 minutes, stirring occasionally with a wooden spoon. Add in the chilli and the pancetta and continue to cook for a further 5 minutes. Pour in the wine and cook for a further 2 minutes allowing the alcohol to evaporate. Pour in the tomatoes, stir well and gently simmer for 5 minutes with the lid off, stirring occasionally. Once ready, season with salt, remove from the heat and set to one side. Cook the pasta in a large saucepan of salted boiling water until al dente. To get the al dente perfect bite, cook the pasta 1 minute less then instructed on the packet. Once the pasta is cooked, drain and tip back into the same pan where you cooked it. 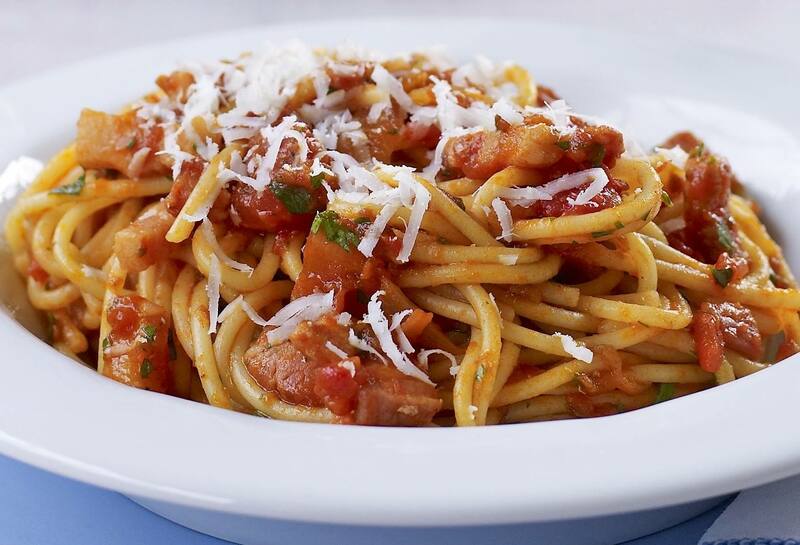 Pour over the Amatriciana sauce with the parsley; stir all together for 30 seconds allowing the flavours to combine. Serve immediately with Pecorino cheese sprinkled on top. 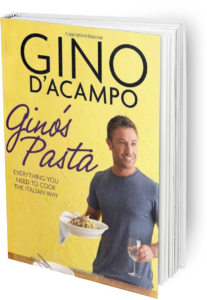 Once you’re done, simply sit back and enjoy your linguine with cherry tomatoes, pancetta and white wine and don’t forget to check out other great authentic Italian recipes including great antipasti recipes, Italian pasta recipes, Italian soup recipes, Italian beef dishes and authentic pizza recipes.